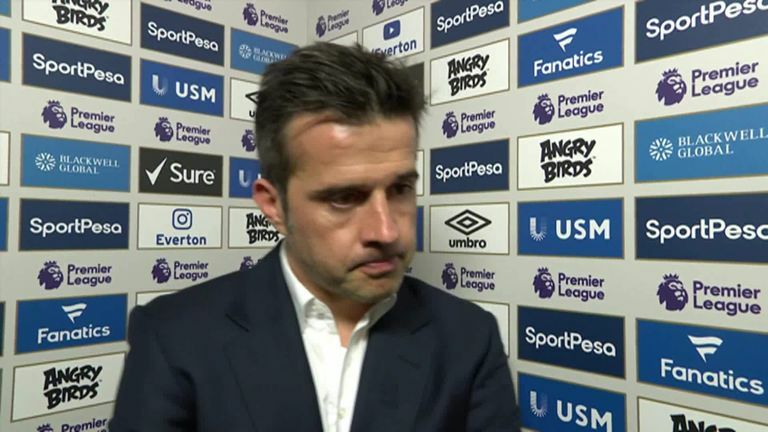 Marco Silva is pleased with his side’s squad depth, after substitutes Cenk Tosun and Dominic Calvert-Lewin scored late goals as Everton beat Crystal Palace 2-0 at Goodison Park. Everton boss Marco Silva hailed the strength of his squad after his substitutions made the difference in their win over Crystal Palace. Dominic Calvert-Lewin was introduced off the bench in the 82nd minute and put Everton ahead five minutes later before fellow sub Cenk Tosun netted in the 89th minute, both goals coming after Palace had a penalty saved by Jordan Pickford. Palace's aggressive and organised performance had stifled Everton's attacking foursome of Theo Walcott, Gylfi Sigurdsson, Bernard and Richarlison but the introduction of Calvert-Lewin, Tosun and Ademola Lookman turned the game the hosts' way. "Sometimes you make changes and everything goes well, like this afternoon," Silva said. "The other times you try and it's not the same but in that moment it was important for us, we changed the formation with the substitutes and they did well. "They came on and helped the team and showed that everybody is ready to play and everybody is fighting for positions in the squad. "That is really important. It's not just the 11 players but the squad and that's what we want as a club. "I'm happy because the three players came on and they helped. Cenk, Lookman and Dominic are working really hard to achieve what they want, which is to play in our starting XI and this afternoon they helped the team." 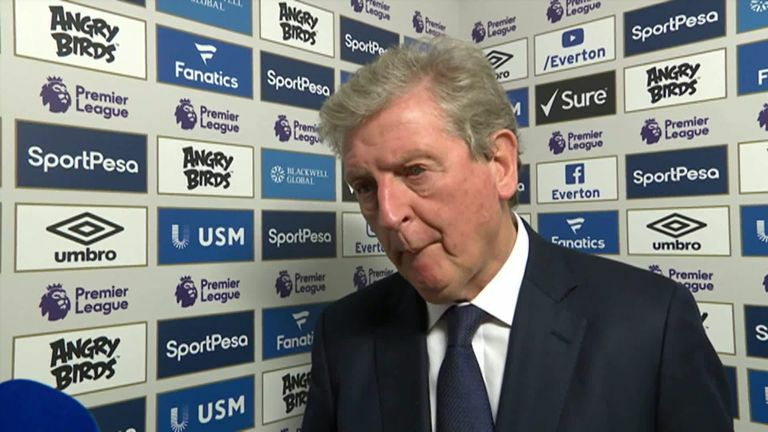 Roy Hodgson says Crystal Palace were close to a positive result against Everton but a missed penalty and two late goals means they leave Goodison Park with nothing. Pickford triggered memories of England's World Cup adventure as he saved Luka Milivojevic's penalty on the hour mark. "Jordan's quality and profile are solid, he could keep calm in that moment [the penalty] to make the right decision and it was an important moment in the match," Silva added. "At the end I think we deserved the three points. We were better in the second half than the first. Crystal Palace came here to keep a solid defence and good organisation. Their 4-4-2 was good and they created some problems for us so we had to play faster to create just one chance in the first half. "The second half was different, we created more chances and a big number of corners as well and at the end we scored twice and deserved the three points."